When indie blew up the charts in the 90s, one band that was at the forefront of the movement was Ash. Arriving on the scene with their debut album Trailer in 1994, the band become chart darlings with his such as Girl From Mars, Angel Interceptor, Goldfinger, Oh Yeah and A Life Less Ordinary. 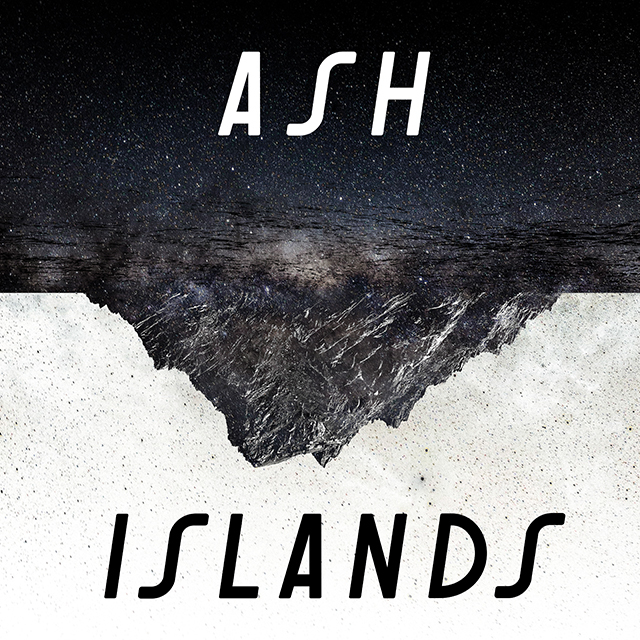 Fronted by Tim Wheeler, Ash have managed to achieve a longevity that has eluded many of their contemporaries. With new album Islands arriving last week, I caught up with Tim to talk about the record, discuss the secret to the band’s longevity and find out more about their upcoming headline tour. I’m loving the new record Islands. It’s definitely going to be my summer album. Tell me all about this record how it came to be…. That’s wicked! I guess we’re following on the momentum from Kablammo! We finished that tour and got straight into the writing and recording. It just took a bit longer to come out than we would have hoped because we were sorting out the new record deal. We’re following what we started with Kablammo, which was our first album in quite a few years and that was our return to the album. It gave us a really good feeling of confidence. We felt a lot of pressure coming back with Kablammo! because we said we’d never make another album so this one has to be really good. With this album we felt we’d answered that. We just needed to get a collection of great songs and make it so it would sound great as a three piece played live. That was our starting point really. One of the things I love about the record is that I think it sounds so distinctively Ash but it sounds fresh and modern and it’s quite uplifting. Did you have a concept when you went into the studio to make this record? Not so much. It’s just a great collection of songs. We just felt very confident and thought they were really strong. I was writing a lot. We maybe cut it down from about 80 song ideas to the 12 that we actually recorded. We were very excited about them. We had a feeling that fans were going to love this and there’s a lot of good stuff for fans who like our stuff going back to the 90s but there’s also a bunch of really fresh things in there. It’s quite eclectic style wise I think. We had the confidence that there were some really exciting songs that could fit alongside all of our old hits and be as strong as those. There wasn’t a massive game plan, I just wrote a lot without worrying about it (laughs). It’s just a strong collection I think. You can hear the energy in the album and every time the last track finishes I’m reaching back for the play button. It feels like as a band you’re in a really good and positive place right now. Would you say that was the case with this record? Yeah I think so. There’s definitely been some challenging times in the band, even just times where’s it been difficult dealing with the music industry side of things. I think things are settled down and we feel like we’re in a good established place and we’ve got a really fun workflow in the studio. We’ve had our own studio for years. Our drummer lives in Scotland so he comes over every couple of months normally and we do a bunch of work. It’s always a really good time. We did a bunch of shows revisiting 1977 a couple of years ago and I think that was quite a fun time too. We’re feeling very confident with the music and what we’re doing. .
It’s crazy to think that it’s 24 years since you first came onto the scene with Trailer. Where did those twenty four years go? (laughs) I’m a bit baffled by the the whole passing of time thing (laughs). 20th anniversaries keep coming and going for a bunch of our big early singles and albums. Some of those make my head spin. Recently it was the 10th anniversary of our Meltdown album so I can’t believe that’s quite so long ago (laughs). 10 years doesn’t feel too bad now when somebody says that. It’s been a crazy journey. It’s great that we’re still doing what we set out to do in the beginning. Longevity in the music business is no easy to thing to achieve, yet for you guys there’s always a buzz when you have new music. What’s your secret? I think we’re very united and committed to the band. That’s the great thing about being a three piece really good. It’s a good number to handle the dynamic of everybody. We started as friends and we knew we had to have three really committed people to get the band going. That’s why we stripped down to a three piece at beginning. We had Charlotte on board for 9 years and that was great too. I think our core friendship has kept us together and the fact we still love it. We still love playing live. Our fans are awesome. We get such a strong reaction because I think our music has been such a big part of their lives for such a long time. Being in the studio is one of our favourite times, when it’s just the three of us in a room and we’re kicking a new song together and we’re dead excited about it. That’s brilliant! You’ve got a ton of live dates coming up over the summer and then you’ve got your headline tour later in the year. What can fans expect from the headline tour? It’s nice because normally we do a headline tour close to the album’s release but this time it’s three or four months later. The fans will know the album well and we’ll also have a good idea of what the fan’s favourite songs are. We’re going to play a bunch from the record and a lot of old hits as well. I think this album is going to be really good live. We played six songs from it last night at our launch gig and they’re really fun to play, that’s even before we start adding stuff like Incoming Wave, which is one of my favourites. There’s a bunch of songs we haven’t even played yet live that I’m really excited about. Oh wicked yeah! That was awesome last night actually. We’ve played it twice now live and it’s getting better and better. The end of it is really fun. Someone posted on Instagram saying that song really got the crowd hopping. It’s a really tempo for lives as well and it’s got quite a different groove to a lot of the stuff and I think it works. .
With this album I love the fact you’ve really embraced the physical format and that you can get it on cassette! Why did you decide to release Islands on cassette? We did one for The A-Z Series and I think for Kablammo! We’ve been getting back onto it in the last few years. I think the demand is there but I haven’t really embraced the cassette again myself (laughs). It brought me back to my days of cassettes. The most interesting thing about that format is you have to listen through the whole album to get back to the beginning so you really have to embrace all the tracks on an album. Any album that’s got a bunch of filler doesn’t really work on cassette. The vinyl editions are amazing, especially the deluxe edition which is metallic silver. Every time I see it it makes me so happy (laughs). It’s brilliant. We’ve always kept our vinyl pressings going on every record. I guess a lot of them are out of print so hopefully we can start reissuing those as well soon. .
As you say you’re getting to 20th anniversaries and 25th anniversaries so you’ve got the perfect excuse… . Yeah absolutely. We’ve been together 26 years now. It’s Nu-Clear Sounds’ 20th anniversary later this year. I don’t want to get too caught up in anniversaries because we want to keep the new music coming really. Do you have any plans to work on any other projects this year? We are quite far into making the new album. We recorded the drums for it and most of the bass parts. The songs are really there. If I can get time off here and there I’ll keep working on the record. I’d love to have that finished by Christmas but I’m not sure if our schedule will allow that. Fingers crossed there will be an album on the way maybe next year. The main thing is to tour this album and make a bunch of new stuff.